What Goes Into a DUI Case? DUI cases will be made based on various factors involved both in sentencing people whose ability to operate a motor vehicle was demonstrably or purportedly affected by the consumption of alcohol or some other kind of intoxicant. DUI cases will generally require that the driver has had blood alcohol content (BAC) of, at least, 0.08%. Beyond that point, the way in which the DUI case is brought against the defendant based on various consequences, such as injury to other people or damage to the property of other people, stemming from the DUI-related accident, as well as any circumstances prior to the DUI case and relevant to the driver’s level of expertise. A DUI case may be tried more seriously if the particular defendant has incurred other offenses prior to the ongoing DUI case. In particular, a previous DUI case involving the same defendant, either one which was disposed of in the past or is still ongoing in the present, means that it is likely that DUI cases will be tried more seriously. 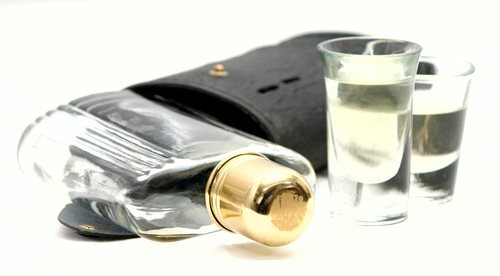 DUI cases which do not otherwise involve serious consequences, such as harm to other people or damage to the property of others, can accordingly be granted more attention by the criminal justice system, and involve more serious sentences, and consequent penalties, for the defendant involved in the DUI case. A DUI case heard in this way can lead to a defendant being recognized as a habitual offender, and viewed as a greater risk to pedestrians, passengers and other motorists. A DUI case, absent any other marks on the DUI defendant’s record, may be tried most seriously when the particular accident not only demonstrates the lack of fitness for the defendant to safely operate a motor vehicle and use intoxicating substances, but also results either in other people being injured or killed, the property of persons other than the defendant being damaged or destroyed, or both. DUI cases may be tried as manslaughter, for one, when someone is killed as a result of the defendant’s intoxication while driving. An accident in this instance of injury or damage can thus leave the DUI defendant open to other legal consequences outside of the context of the DUI case, such as civil litigation. For one, DUI cases in which injuries occur can raise the possibility of the victims, or their family members, bringing a civil action against the DUI defendant responsible. DUI cases may also be modified in terms of whether the case is tried as a felony or a misdemeanor. A felony DUI case, for one, is most likely to lead to imprisonment. People who are facing serious charges as a result of DUI charges may, accordingly, attempt to have these charges tried as misdemeanors, rather than as felonies. A misdemeanor DUI case is less likely to incur severe and punitive penalties, but rather in educational measures, such as mandatory Alcoholics Anonymous enrollment.